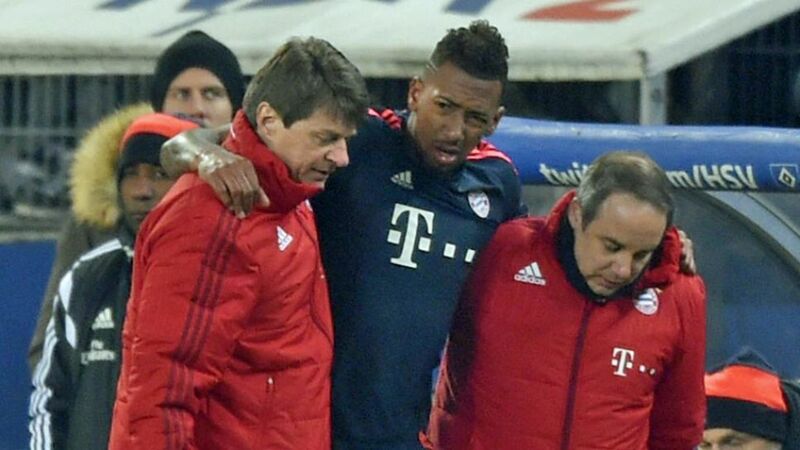 FC Bayern München defender Jerome Boateng faces at least a week on the sidelines after suffering a groin injury in the defending Bundesliga champions’ 2-1 win at Hamburger SV on Friday night. The 27-year-old Germany international had to be replaced in the 55th minute at the Volksparkstadion, and will undergo further tests to determine the extent of the damage this weekend. "Jerome Boateng is doubtful for FC Bayern’s next Bundesliga match against Hoffenheim on 31 January," read a statement on Bayern's official website. Boateng, who recently signed a contract extension that will keep him on the Bayern books until 2021, has made 27 appearances in all competitions so far this season.